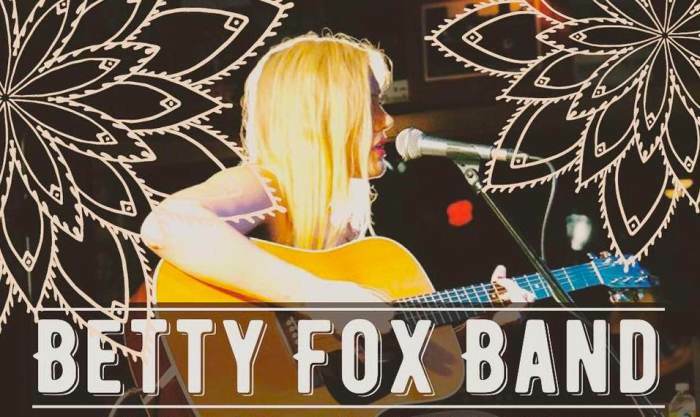 With an extensive background in gospel and a lifelong passion for soul music, Betty Fox has come a long way from her southern roots to headlining festivals and captivating thousands with her raw swagger and unwavering talent. Now the 2015 representative of the Suncoast Blues Society, an International Blues Challenge Finalist, and 2 time winner of Creative Loafing’s Best of the Bay, she is truly proving herself a force to be reckoned with. Betty Fox appreciated singing early in life and performed for the first time at a church play at the age of 4. Her family had a deep love for southern country gospel and tight harmonies which they would express at every Easter, Thanksgiving, and Christmas, and that is where her affinity for music began. "My uncle Fred would pound on the keys with his monster hands while my (rather large) family and I would all gather around the piano... My grandmother would stand behind me and my cousins would hold my hands as we all sang four and five part harmonies to songs like “It Is Well With My Soul”, “The Old Rugged Cross”, and “Till the Storm Passes By”. To this day, those songs and those moments mean more to me than anything", Fox says. After honing her craft for 20 years, her debut album, “Too Far Gone”, put her on the international map as a songwriter and vocalist and had the critics from American Blues Scene Magazine to Blues Revue Magazine singing her praises! Her Sophomore album, "Slow Burn" was released in June 2015, and is already receiving rave reviews from Blues DJ's, critics, and enthusiasts around the world! It will surely take her farther than she ever imagined. To support her talent, she has carefully selected musical heavyweights Barry Williams on bass, and Tony Cintron on drums and Josh Nelms on guitar to set herself up for nothing less than well deserved success. In fact, in the past year this dynamic quartet has skyrocketed to the Florida spotlight, playing on multiple notable music festivals including the world renowned Tampa Bay Blues Festival, and the largest free music festival in the US: Springing the Blues. This band has competed in the International Blues Challenge making it to the finals 8 of 150 bands! They have opened for such artists such as Mavis Staples, Lucky Peterson, Jimmy Thackery, Marcia Ball, Southern Hospitality, and The Meter Men, for crowds amassing over 6,000 screaming fans! As many will tell you, you definitely don't want to miss this one of a kind musical experience!